Chocolate is her favorite food group. Tonight was the prime example of how quickly this pendulum can swing, and how intensely my patience can be tested. Before leaving for work, I set the crockpot to make a delicious (and surprisingly easy) Hawaiian chicken dish I’d seen on Pinterest. When I got home from work I roasted some broccoli and garlic, made quinoa, and (because I had a feeling that wouldn’t go over well) used some leftover rice and veggies to make a quick fried rice for the kids. As predicted, the little one loved the entire meal. And her big sister… well, not so much. I want to give my sister a hug. I need you to be patient with me. Can I just have a banana? I don’t really feel like eating right now. I thought you said three bites. Can I put a bandaid on my eye? When she (finally) finished her five bites and I took a few deep breaths (while thinking “She did it! I did it!”) and gave her another healthy dose of positive reinforcement, I took a step back to reflect on the less than awesome mealtime we’d just had. The reality is that “this too shall pass.” One day it will be me begging her to take five bites with us before running off to meet her friends. And while yes, if it’s not this, it will be something else, I’m realizing how important it is to dig deep to find my patience so that I truly can enjoy every minute of this wild ride (and tolerate those that drive me too nuts to enjoy!). How do you find your patience? Love this blog – so visually real – I can see it all, have experienced it all – and only from a distance can I laugh really long and loud. So sorry. I was at dinner with them last nite and I sat in amazement how stubborn Ms L is and the excuses she came up with. Ryley stood her ground and L finished her 5 bites. My mom’s advice: tell the kids this is what we are having for dinner. It is your choice whether you eat it or not. 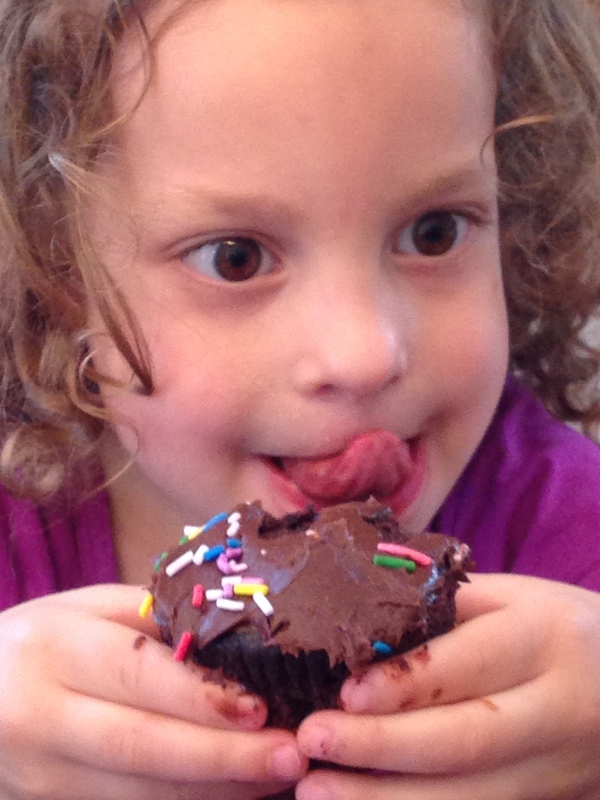 Long-term upside: a hungry kid learns to eat what’s in front of her. We have employed a version of it, with some pretty good results so far. Good luck. Mealtimes are a pain!